One Ukrainian citizen, namely Nadia Savchenko, who has been sentenced to imprisonment by the Russian court, returned to Ukraine; the State Property Fund since year start has sold 42 state-owned objects and 113 municipal ones; $45 billion is needed to provide for the energy efficiency upgrade of apartment buildings and private households in Ukraine. Zero Ukrainian investors are interested in buying one of the country's largest chemical manufacturers - Odesa Portside Chemical Plant (OPP), as noted by the State Property Fund of Ukraine. However, at least five foreign investors have already shown such interest. One prisoner of the Kremlin, a citizen of Ukraine, member of the Ukrainian parliament Nadia Savchenko, has returned to her Homeland. One person was killed and another four were injured in an explosion in a high-rise apartment building in Odesa, the General Directorate of the National Police in Odesa region reported. Russian citizen Yevgeny Buryakov who had been arrested in 2015 on espionage charges was sentenced by a court of New York to 2.5 years in prison, foreign media reported. In addition, Buryakov was fined $10,000. Ukraine ranked fifth in the list of the countries whose athletes were caught using doping, according to the International Association of Athletics Federations (IAAF). A total of 300 athletes from 62 countries who had been caught were suspended from all competitions. Among them, there are 15 Ukrainians. The anti-rating is topped by Russia. Seven Ukrainian soldiers were killed and another nine wounded over 24 hours (May 23-24) as a result of escalation in the zone of the Anti-Terrorist Operation in Donbas, said Oleksandr Turchynov, the Secretary of the National Security and Defense Council. This week, the OSCE mission has recorded a threefold increase in the number of ceasefire violations. The Ministry of Energy and Coal Industry of Ukraine intends to liquidate 11 state-owned mines. Another 15 mining facilities will be put up for privatization while seven most promising ones will remain in state ownership. 17 people died in a fire at a nursing home in the village of Litochki near Kyiv, according to the State Emergency Service of Ukraine. 18 people were rescued. Five of them were hospitalized with burns of varying severity. 21 countries, including Ukraine, will be included in the Silk Road, the Association for Promotion of Economic Cooperation created by China. To launch the project, the Chinese funds have already accumulated about RMB 300 billion (nearly $46 billion), said the executive vice president and general secretary of the China Federation of Industrial Economics, Xiong Meng. 22.5 years of imprisonment in a penal colony for Mykola Karpiuk and 20 years in prison for Stanyslav Klykh – this was the verdict of the Supreme Court of the Chechen Republic for Ukrainian citizens in a trumped-up case fabricated against them, the convicts’ lawyers reported. The Ukrainian side offered a 25 for 50 condition for the exchange of hostages held captive in the temporarily occupied areas of Donbas and in Russia, according to Ukraine’s representative to the humanitarian subgroup in the Trilateral contact group, the President’s envoy on the peaceful settlement of the situation in Donetsk and Luhansk regions, First Deputy Chairman of the Verkhovna Rada of Ukraine Iryna Gerashchenko. But this process is blocked today. 25 people were killed and more than 250,000 were affected by the floods and landslides caused by tropical cyclone Roan in the south of Bangladesh, foreign media reported. 29 foreign journalists, including those from the bureaus of the Russian mass media in Kazakhstan, Poland and Washington were excluded from sanctions lists earlier drafted by Ukraine as the president of Ukraine has abolished temporary restrictions against them with a relevant decree. Ukraine intends to build 30 new warships and boats by 2020, according to the Ministry of Defense of Ukraine. 34 banks operating in Ukraine reported losses, while 75 of them made a profit in January-April 2016, according to the National Bank of Ukraine. 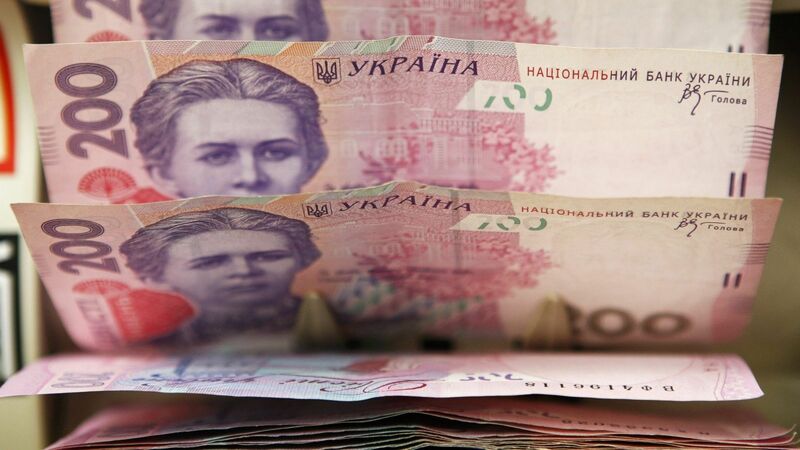 The total loss of the banks operating in Ukraine, excluding the insolvent financial institutions, amounted to UAH 11.5 billion as of May 1, 2016. 40.1% of Ukrainians oppose early parliamentary elections, according to a survey conducted by the Ilko Kucheriv Democratic Initiatives foundation and the Razumkov Center. 36.6% of respondents say yes to such an initiative. 42 state-owned objects and 113 municipal ones have been sold by the State Property Fund of Ukraine since January of this year. The revenue to the state budget from privatization amounted to UAH 29.1 million. 44% of Russians consider the main internal threat to Russia the problems with the economy and growth of public debt, according to a survey by Levada-Center, Russian media reported. 45 kg of TNT was revealed by the SBU Security Service in a cache set up in one of the abandoned houses in the ATO zone, according to the SBU press service. 959 doctors, health care workers, patients and hospital visitors were killed, while more than 1,500 were injured in 594 attacks on hospitals and clinics in 2014-2015, as estimated by the World Health Organization, foreign media reported. 1,400 ATMs were targeted by unknown perpetrators in Japan, with $13 million being stolen, according to foreign media. According to preliminary data, the culprits used counterfeit cards. UAH 1,900 was the average pension in Ukraine as of May 1, 2016, as reported by the Ministry of Social Policy of Ukraine. 3,044 Ukrainians were released from the militant captivity in the east of Ukraine over the past two years, according to the SBU. 114 people remain hostage in the temporarily occupied areas of Donbas, 655 people are reported missing. 7,000 citizens of Ukraine remain in Russian prisons, according to the Ministry of Foreign Affairs of Ukraine. 1.5 million people, which is 11.8% less than was recorded in 2015, may choose the occupied Crimea as a tourist destination in 2016, according to Oleksandr Liyev, ex-Minister of Tourism and Resorts of the Autonomous Republic of Crimea (ARC). $28 million in humanitarian assistance will be additionally allocated for Ukraine by the U.S. Government, said Deputy Assistant Secretary of State in the Bureau of Population, Refugees and Migration Nancy Jackson. The total amount of humanitarian aid from the United States will be at over $112 million. 350 million people worldwide each year face humanitarian crises, said a spokesman for the Turkish president Ibrahim Kalyn at a press conference during the World Humanitarian Summit held in Istanbul, according to foreign media. About 80% of such crises are associated with armed conflicts. Trade turnover between Ukraine and the U.S. in January-April 2016 accounted for $714 million, the State Fiscal Service of Ukraine reported. The volume rose by 6% year-over-year. $45 billion is needed for the energy efficiency upgrade of all 80,000 apartment buildings 6.5 million private households across Ukraine, as noted by the State Agency on Energy Efficiency and Energy Saving of Ukraine.